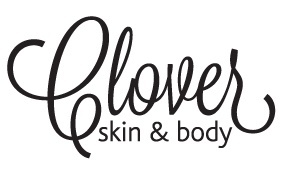 At Clover we strive to make your experience as pleasant as possible, whether your treatment is an eyebrow wax or a relaxing massage. Thank you for taking the time to read this. Our aim is to provide you with exceptional customer service and treatments; please help us maintain our excellent service by providing us with the following small courtesies. Please ensure you arrive 10 minutes prior your appointment time. If you are running late, please call us, so we can plan accordingly. Remember even 5 minutes can make a difference to what our therapist may or may not be able to complete in the remaining time. Please have mobile phones off or on silent in consideration for our clients having treatments. Due to insurance policies and OH&S compliance and the use of high tech equipment and solvents, out of concern for the welfare of our client’s children, we ask that you make alternative arrangements for your appointment time. Whilst we love children, we ask that consideration to our other clients is recognised if children need to accompany to you to your appointment. Children must remain with you at all times under your close supervision and in your treatment room. We’ll send a courtesy reminder SMS 1-2 days prior to your appointment. Please reply ‘YES’ to confirm or call us if you need to change. If we don’t hear from you we’ll attempt to call you 1 day prior to confirm. If we cant get in touch with you to confirm, your appointment may be made available to the next person on our waiting list, as we have generally found that if someone doesn’t confirm they are unable to attend. If you do not show up to the appointment, the booking policy applies. Last minute cancellations and no-shows enormously disadvantage our business and as we’re a very popular salon we request a $20 deposit for bookings under an hour and a $50 deposit for treatments over an hour to secure your time with us, payable at time of booking. This allows us to roster effectively and keeps things fair for all clients who wish to see us. Please note our staff are not permitted to accept any reservation without the appointment being secured by a deposit. The policy applies to new and existing clients, whether first-time or ongoing appointments. We understand that sometimes you may need to change your booking and we kindly request that you give us 24 hours notice so that we might book another appointment. Appointments cancelled with less than 24 hours notice will be forfeited however you may send a friend or family member to take your place. We cannot accept messages left on Sundays or public holidays as sufficient notice as we will not have sufficient time to try to rebook your slot.